“‘Tis the season” – The season where business owners are thinking ahead to next year and starting to think strategies for moving forward. As you plan ahead for your business, one key question that you need to ask yourself is whether you want to grow your business. It surprises me how often entrepreneurs forget to ask themselves whether expansion makes sense for their business before jumping into projecting numbers! It is often assumed that success in business means growth and expansion. However, I’m here to tell you not to buy into this – the ‘grow or die’ rule does not apply to all situations. We all know small and big examples of exponential growth that have caused serious organizational problems. HP’s acquisition of Compaq in 2001 generated a lot of analysis of all the things wrong about that process. Ten years down the road, that merger has lead to some good things, but there is reason to believe that the acquisition may have been too much too soon. Starbucks dealt with a similar issue of having to close down stores in 2009 after there was a uncontrolled growth spurt. They had to recommit to customer experience as there were signs of the core competency of the Starbucks brand getting compromised. The point of recounting these episodes is not to be negative about growth. But to tell you to think of growth within the context of your company. If you see growth as expansion alone it puts unnecessary burden on the you and your employees and can lead to the wrong kind of strategy as you plan ahead. What does growth mean for your business? 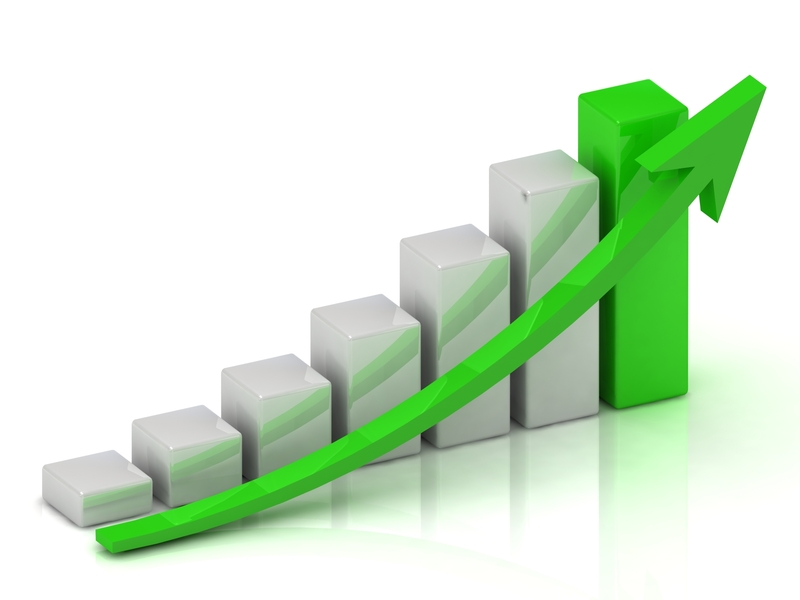 Growth is simplistically defined as increased sales figures or increased stores. The more complex definition of growth is refining processes and procedures. An organization that continually strives to improve its processes and works on improving efficiency is going to see sustained and meaningful growth. You have a right to decide whether you want to grow your business. A friend’s friend who was a small business entrepreneur with a gluten-free snack hit the big time when Whole Foods approached her with contract to produce the snack exclusively for them. She had been retailing through several health food outlets at the time – it was intense work but in a scale which she could manage. The Whole Foods stamp of approval was a very big endorsement but after several weeks of analysis of scaling up she decided to keep her business small. She felt happy with the quality control she could ensure with hands-on-production and felt that it suited her life to keep the operation small in scale. She understood that in the context of her life scaling up was not the best choice for her. This may strike some folks as a strange choice but every entrepreneur has to take the time to decide what lies behind their urge to grow. They should have a clear vision of the demands they’ll have to face and the time commitment involved. Success in business often comes with a lot of change and change is stressful. Make sure that your priorities are not compromised in these times. Whether you want to take the quick elevator to reach the top or work steadily up the stairs, each of the paths will need different approaches. What should you focus on when thinking of growth? Both approaches do have some elements in common because you do have to focus on the 4 Ps: People, Planning, Prioritization and Process. The truth is without building these strong foundation elements in place there is nothing to grow. Many people talk about scaling their business to the next level but they can’t scale what is broken, they have to fix that first with proven systems and process. Here’s the core point I’d like you to take away from this article – you don’t really scale your business or sales, what you scale is the system and process that allow the business to grow. People are at the core of the success or failure of any business. A team that works in sync with a clear understanding of organization goals, will make the work more efficient but also more fun! Have clarity about your goals, create channels of communication with your team members and be open to suggestions and questions. Trust in the people you hired to think broadly and be smart about giving them some autonomy in executing your plans. One way of determining your rate of growth is to think in terms of risk factors. Determine the level of risk you’re willing to take and that can help you decide how far to commit yourself in terms of financial and resources investment. Planning is about setting goals but also about having a clear idea of where you are. The process from here to be there should be clearly defined and that can help you anticipate the challenges at each stage. One of the biggest challenges of business owners is figuring out the areas of your organization that need attention. It is important to think in terms of priorities to decide the best of use of resources, whether financial or human. Does marketing need more money this quarter or is it critical to think in terms of maintenance? Do you need to hire more people to handle sales or do you have to get more accounting help? These are always going to be a changing realities and so there is a constant need to keep an eye on priorities. Organizational processes for handling the priorities of different department will make everyone feel valued and this is a critical task for every business owner. It’s all about the process. Make this your mantra and you can be one step closer to organizational learning and growth. It rules out whimsical decision making, creates a learning path and allows for stream-lined execution. Change can be disruptive and unpredictable but by framing it within existing processes you can document what works and what doesn’t. You can avoid repeating mistakes and build on successes. As we wind up 2015 and head towards a new year, I wish you a time of meaningful growth. Set out to think in terms of getting smart systems in place with smart people to manage them and you’ll be on the best path for growing your business. Sales and profits are the bottom line that keep businesses going and the best indicators of a company’s growth. However, always remember that this growth is the end results that comes from careful attention to people and process.